Come From Away flies into this week's Season Spotlight. Welcome to the Rock. Amid the chaos and devastation following the 9/11 attacks, the U.S. airspace was closed. More than 6,500 passengers from 38 different flights were diverted to Gander, a small town in Newfoundland whose typical population just reached 10,000. Over the next few days, passengers and Newfoundlanders came together as a community in the face of tragedy and uncertainty, inspiring this beautiful piece of theatre. Through an extensive interview process with the people of Gander in September of 2011, husband-wife duo turned creative partners David Hein and Irene Sankoff outlined the story, which would eventually become the fully-fleshed out musical Come From Away. Accompanied by a score that draws from Newfoundland's Celtic-inspired musical tradition, the book brings real peoples' stories to the stage. Among these is the voice of Captain Beverley Bass, the first female captain for American Airlines, who redirected her crew to Newfoundland following the 9/11 attacks. Come From Away is story set in the time of a national tragedy, but it is not a tragic story. Instead, it is a production overflowing with humanity and hope. 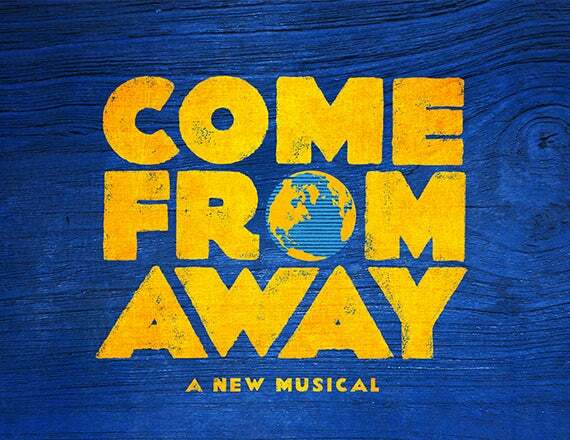 Come From Away is currently on sale with a 2019-20 PNC Broadway Lights season ticket. Learn more here.